STAR TREK 2010. THE CARD IN THE PICTURE IS THE CARD YOU WILL RECEIVE. THE CARD IS IN M/NM CONDITION. 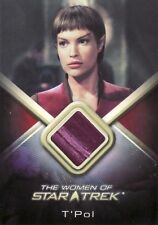 This is for the sale of a Babylon 5 Trading Card. The Great Toy Hunt. Condition: Mint / Near Mint. # Card Title. [ ] RC15 Jennifer Sisko. [ ] RC14 Keiko O'Brien. [ ] RC13 Vash. [ ] RC12 Vash. [ ] RC11 Vash. [ ] RC10 T'Pol. MC12 "Dr. Carol Marcus". The Complete Star Trek Movies. We are one of the UK's Premiere Trading Card Dealers. Actual card pictured. COMPLETE STAR TREK. DEEP SPACE NINE. 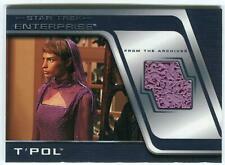 This is for the sale of a Star Trek Trading Card. The Great Toy Hunt. This is the shirt varient. We try our hardest not to make mistakes but we're only human and occasionally mistakes do happen. We will always try and correct any problem.